Maintaining a daily skincare regimen as part of an overall commitment to a healthier lifestyle is a resolution that makes sense. Taking more control of your skin’s health and appearance doesn’t require inconvenient changes and can quickly produce noticeable improvements. From the basics, such as using sunscreen daily, to more dramatic steps such as laser skin resurfacing, our London, Ontario, clinic can help you get a fresh start in 2019. We’re excited at DermEffects to welcome new patients and to maintain our leadership in the dynamic aesthetic treatments field. New to our practice and the Canadian cosmetic landscape is JUVÉDERM® VOLITE, a game-changing skin booster that’s been used in Europe since 2017. It’s one of the many skincare tools that can help you get the refreshed, youthful-looking appearance you desire. In this blog post, I’ll provide some insight about how to care for your skin and focus specifically on tips that address concerns about dull and dry skin caused by the unique challenges we face during the winter months. Serums: Using a serum daily is one of the most effective ways to up your skincare game. Serums such as those made by SkinCeuticals® can both prevent and correct a number of skin concerns and conditions. These concentrated formulas vary in their ingredients, but can improve discoloration, reduce wrinkles, minimize acne and excess oil, and create overall healthier skin. Sunscreen: Applying a professional-grade, broad spectrum sunscreen with a sun protection factor (SPF) of at least 50 is a daily habit that can prevent long-term skin damage caused by exposure. Sun damage is 1 of the main causes of wrinkles and other signs of aging and can be effectively minimized by simply using sunscreen. This is true even in the winter, when people don’t think sunscreen is needed. Moisturizers: It’s essential to keep the skin hydrated with moisturizers formulated for your specific skin type. 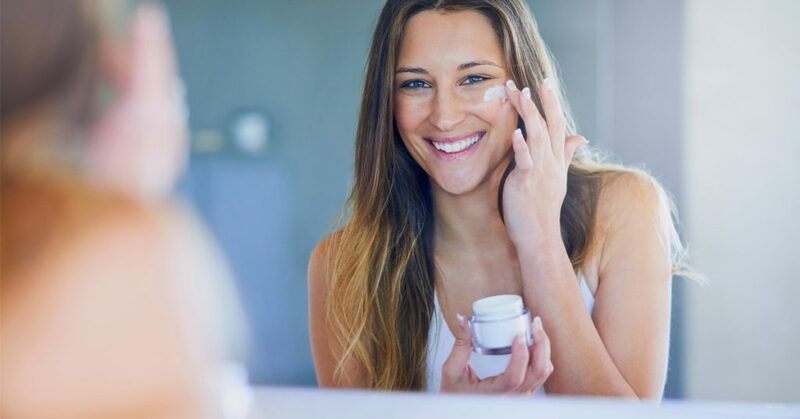 Moisturizers available in lotions and creams are excellent, but I recommend combining humectants with moisturizers for optimal skin hydration. Humectants are natural moisturizers that can help prevent breakouts that some heavier moisturizers can cause. You should vary the moisturizer based on the season. Laser Skin Rejuvenation: We offer a number of options, including the Pearl® fractional laser, Laser Genesis, and LimeLight IPL™, to address specific concerns. Chemical Peels: Medical-grade chemical peels produce more effective and long-lasting results than at-home peels. DIY peels can pose safety concerns, as I wrote in an earlier blog post. We can customize the various peels we offer to create personalized results. The options include mild, moderate, or deep glycolic acid peels, salicylic acid peels for patients with acne or acne scarring, or carbon peels. If you would like additional information about the skin care products or anti-aging treatments offered at our London, Ontario, clinic, contact us using the online form to request a consultation or call us at (519) 472-8686 to schedule an appointment. Really amazing article. Thank you very much for sharing! Thank you for your comments, Linda! We’re really glad you enjoyed it.